Hopefully we will be back up soon! Keep Making Gifts Within A Card! For the next 18 days I’ll be posting LOVE themed cards you can make or purchase to share with your loved ones! At the same time you can enter to win a set of cards to use for your own little notes… All you have to do is comment about the card and how that love theme inspires you. Stay tuned for the first Love card later today! So Etsy is doing a great service project for Valentines — Share Your Love. They have partnered up with Citymeals-on-Wheels add an extra bit of love with your meal — handmade Valentine! You can read about it by clicking the image below. Now we are going to send some cards but are also thinking of how we can do something similar locally. I know I’m posting this late Monday but today for the first day back to work and school so pretty hectic schedule. I pray all are having a good new year and that you are keeping to your goals and desires! With the holidays over you now have time to thank everyone for the gifts you were given! 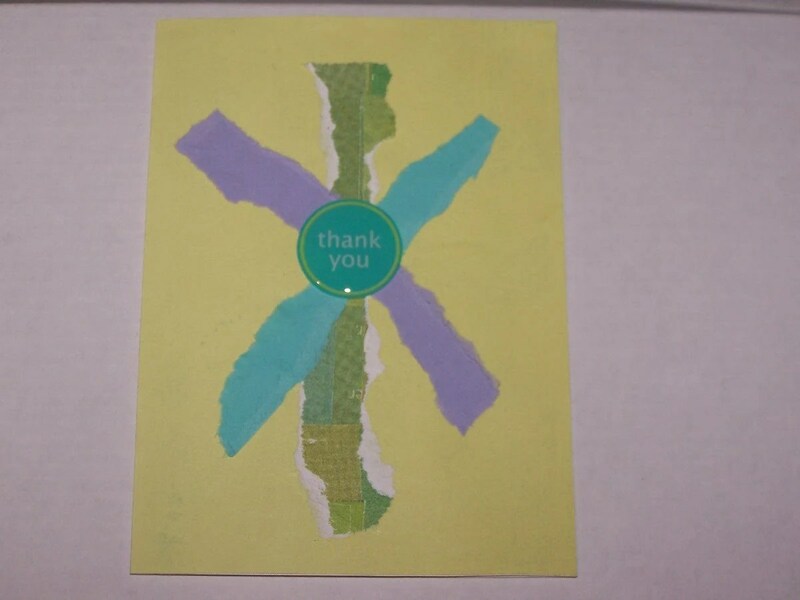 So today I want to show you a thank you card. I think the new year is a great time to get in the habit of sending some form of greeting that ISN’T an email! And since you have fresh thoughts of thanks for your gifts (playing, wearing, or using the gift) why not make that be the first set of cards you send out! As you know you can find this on our Etsy site. Ask yourself — do I have any special events coming up? If the answer is yes you better verify the address, pick a handmade greeting for that special person in your life, and put it in the mail or hand deliver! I will discuss these dates as they get closer! In honor of Kwanzaa I thought i’d post this card for motivation – what I like about it is that you have to really reflect on what wisdom has been passed down to you. “I have heard and kept it” — are you applying wisdom passed onto you in your everyday life? Please take time to let this quote marinate in your soul and inspire you! Ahhhh we are back — took a little hiatus while preparing for and participating in the holidays. See I’m on vacation from work so I reckon I applied that to everything! I pray all have a joyous holidays and for those still celebrating Kwanzaa many blessings as you fellowship with love ones. With the new year’s so soon — I’d thought I remind you to send a 2009 greeting to all wishing them a joyous and prosperous new year. I’m actaully working on my greetings to send. I’ll post pictures as they are complete. 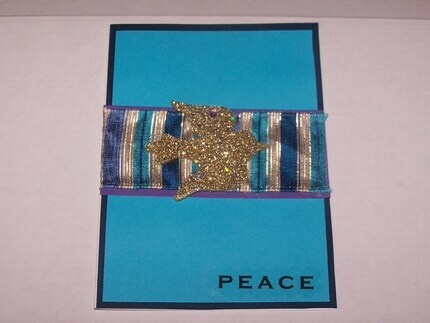 The card above is our Dove of Peace which you can locate in our Etsy site — Dove’s are my favorite symbol. As someone that LOVES to recycle — I’ve been wanting to make something with those pesky weekly sale mailers… In today’s tutorial I’m going to show you how to make your own holiday gift tags using images from a sales mailer. So I had this one mailer that had holiday themed images that I thought would be perfect for a card or gift tag. I found some coordinating scrap papers and scrap ribbon to make the tag. Knowing that I might want a white surface to write a little note I grabbed an envelope I got in tha mail as well. This project is completely scrap materials!! Pick out the images you desire for the tag and cut it out from your mailer. Then using adhesive (I used glue stick) place centered on your coordinating scrap paper. I tried to leave the equal amount of distance aroudn entire image. Now take your image layer of the tag and adhere it (using glue stick) it to another coordinating paper. Make the image layer centered on this paper as well. Once everything is in place you can take your recycled envelope and adhere the correct amount on the back for your writing area (if you desire that). Then to make it a tag punch a hole in either corner and thread your coordinating scrap ribbon through. And you have your final product – Recycled Holiday Gift Tags! Have fun Making Your Own Gift Within A Card!